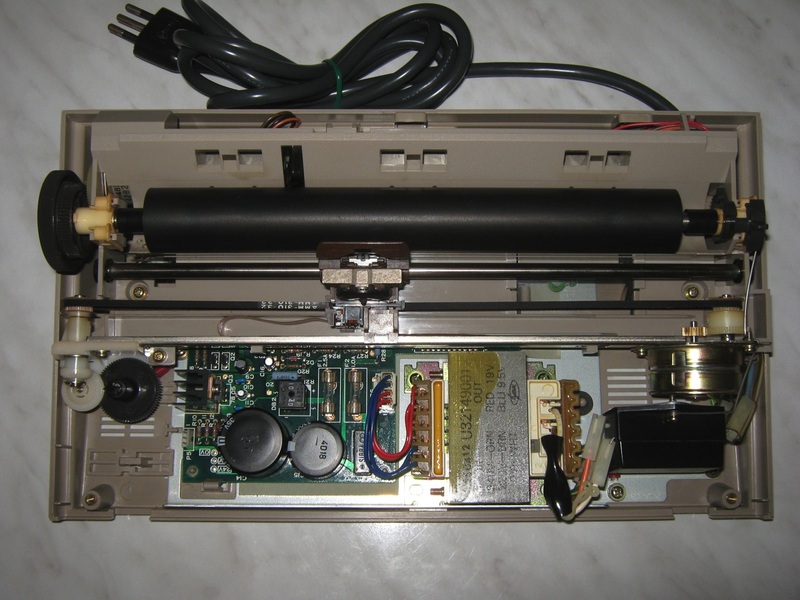 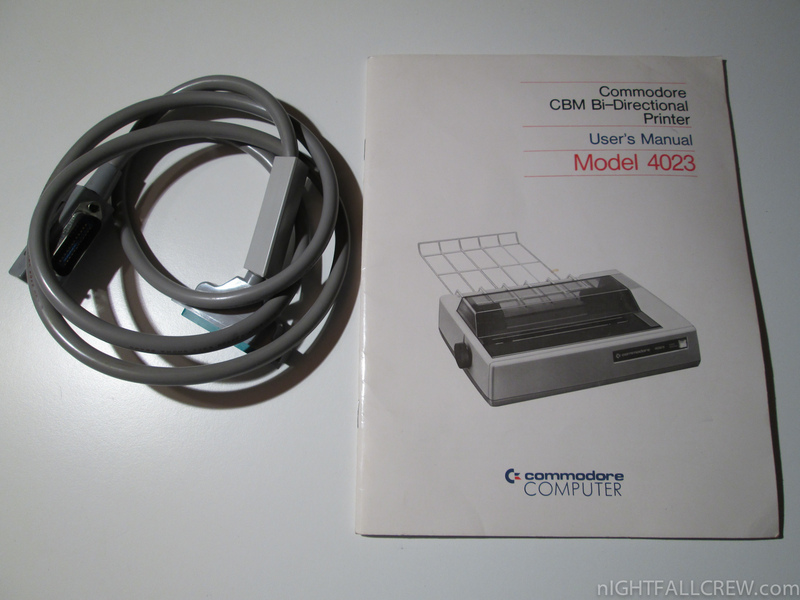 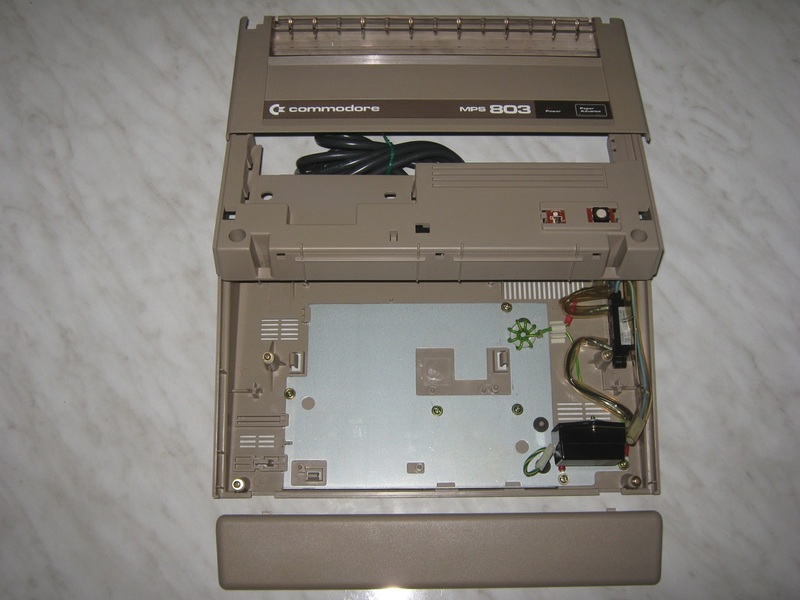 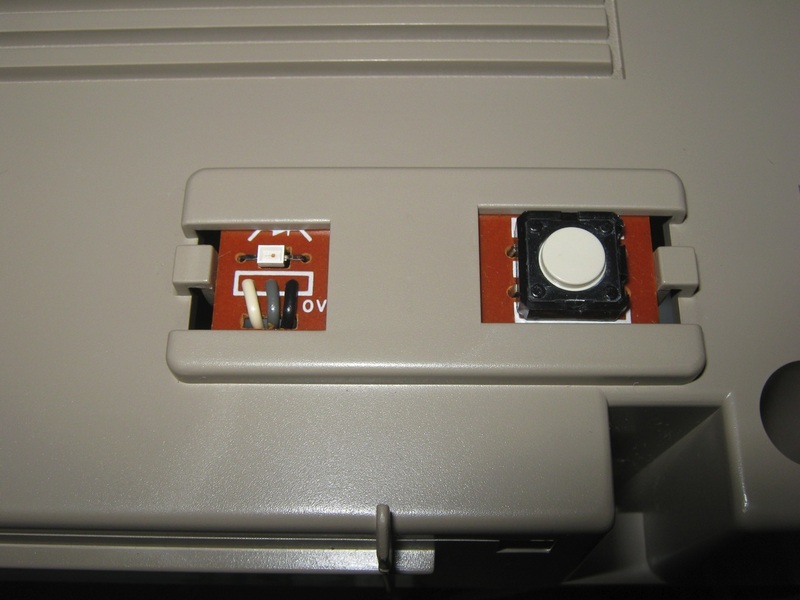 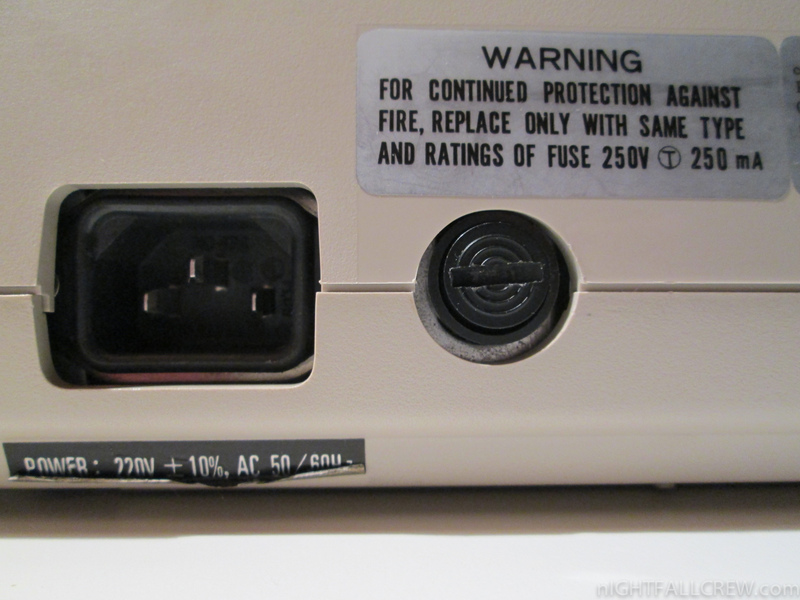 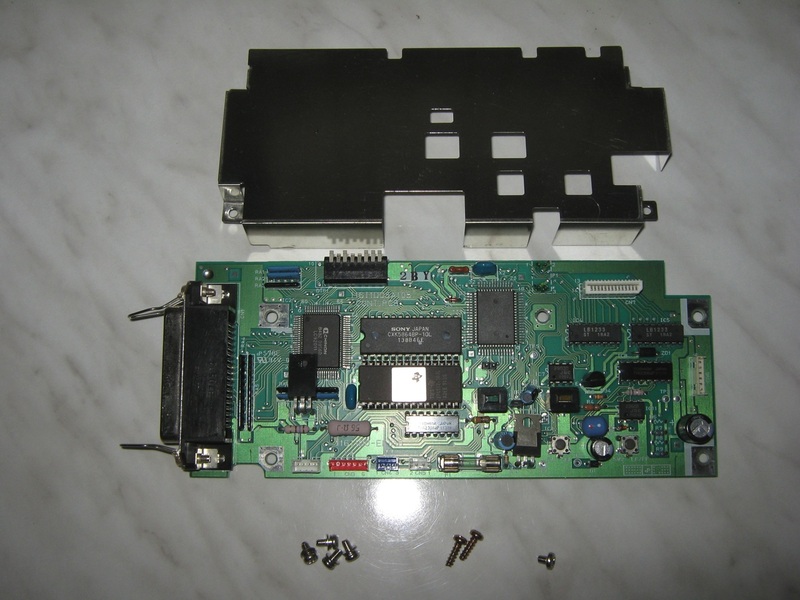 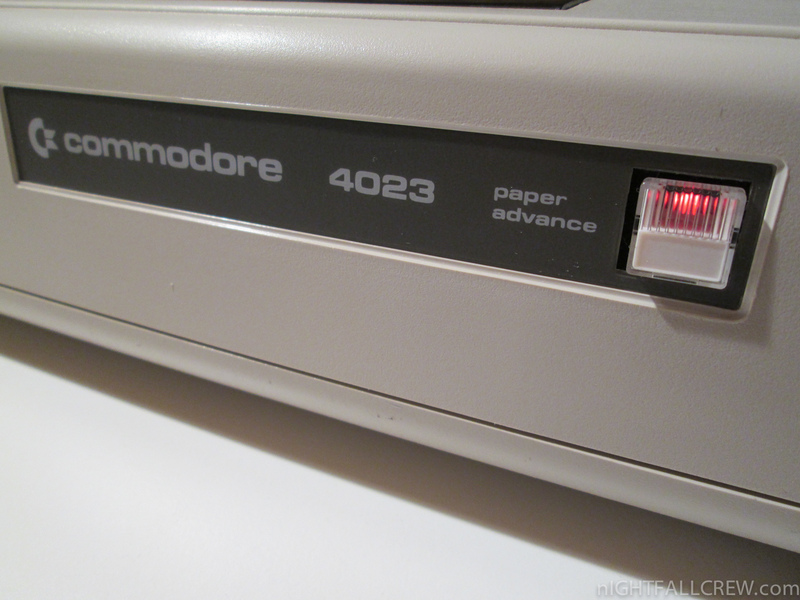 The Commodore Printer 4023 is a printer with a IEEE-488 Bus and may be daisy-chained with other IEEE-488 devices. 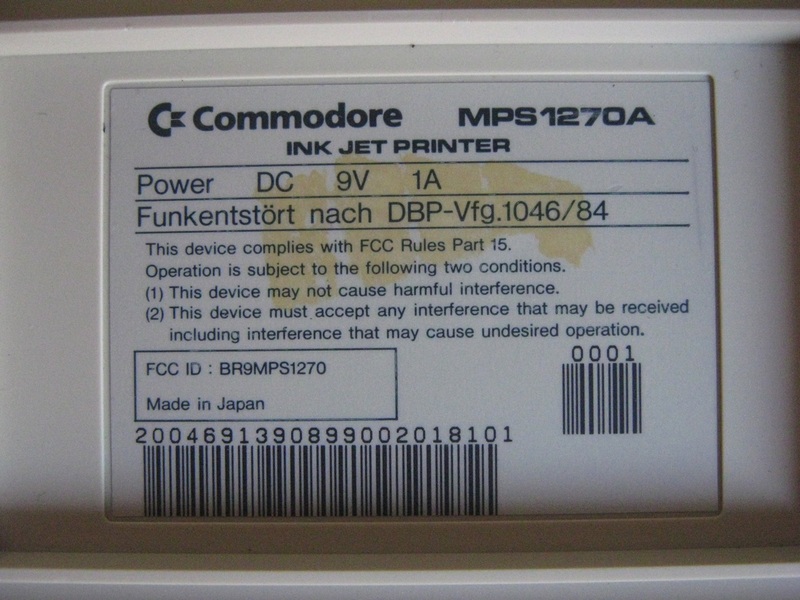 This printer is fully compatibile with all computers Commodore PET/CBM. 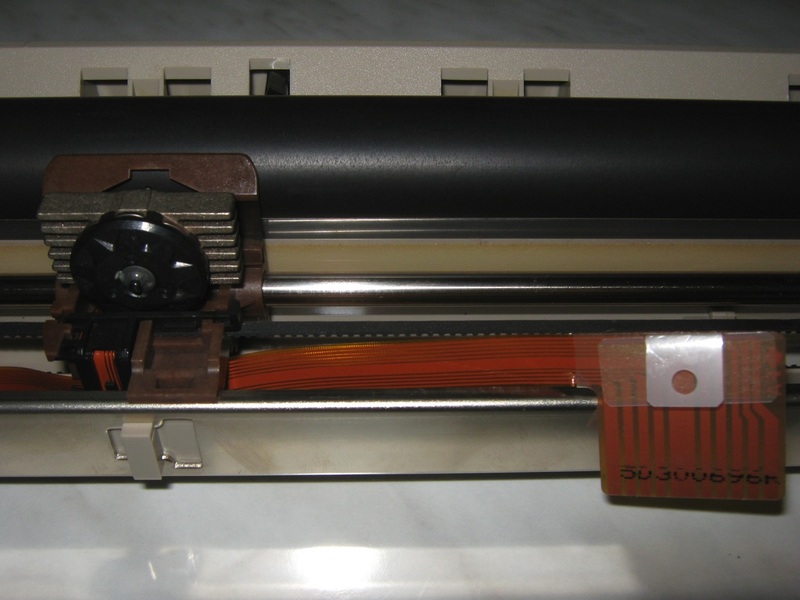 Printing Method: Serisal Impact Dot Matrix. 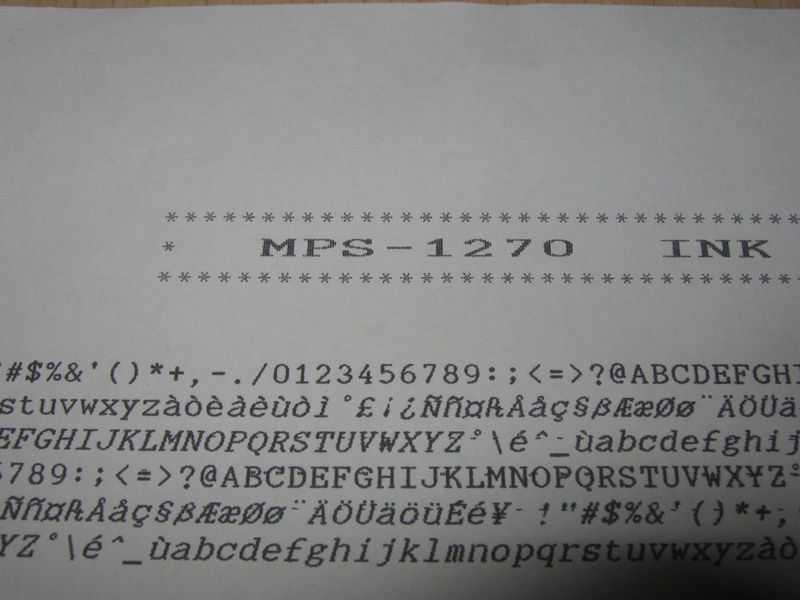 Print Rate: 45 LMP with 80 columns printed. 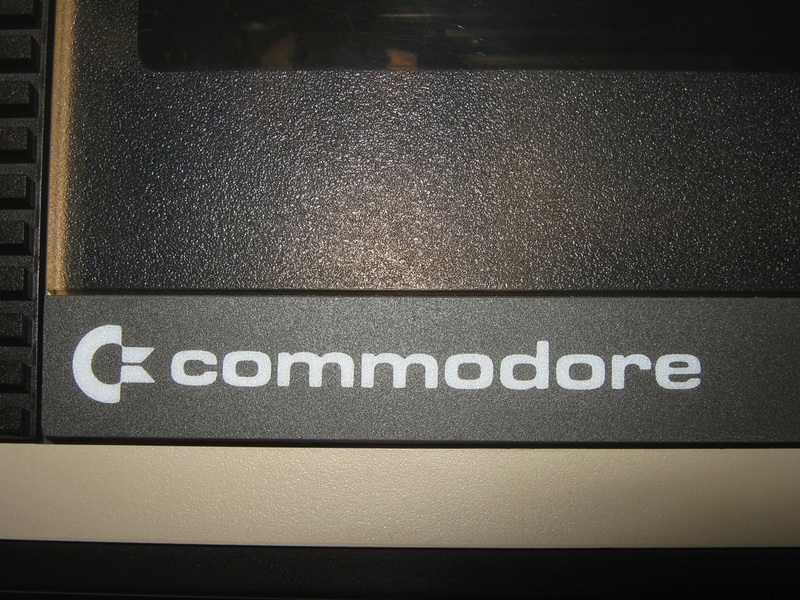 78 LPM with 40 columns printed. 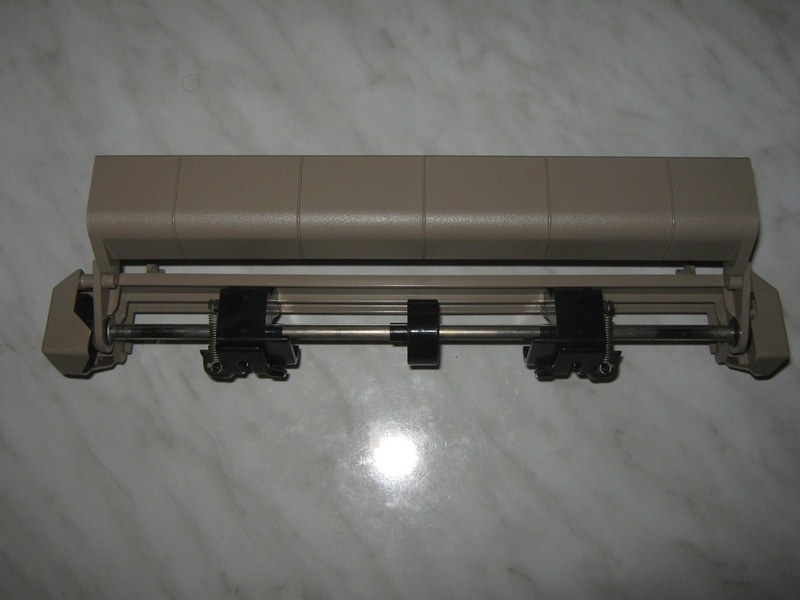 124 LMP with 20 columns printed. 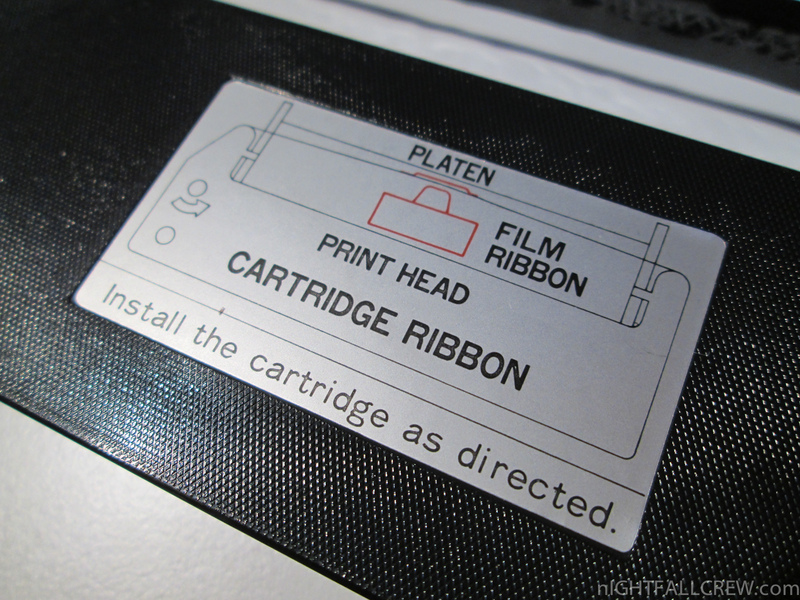 Ribbon Life: 1.2 x 10(6) characters. 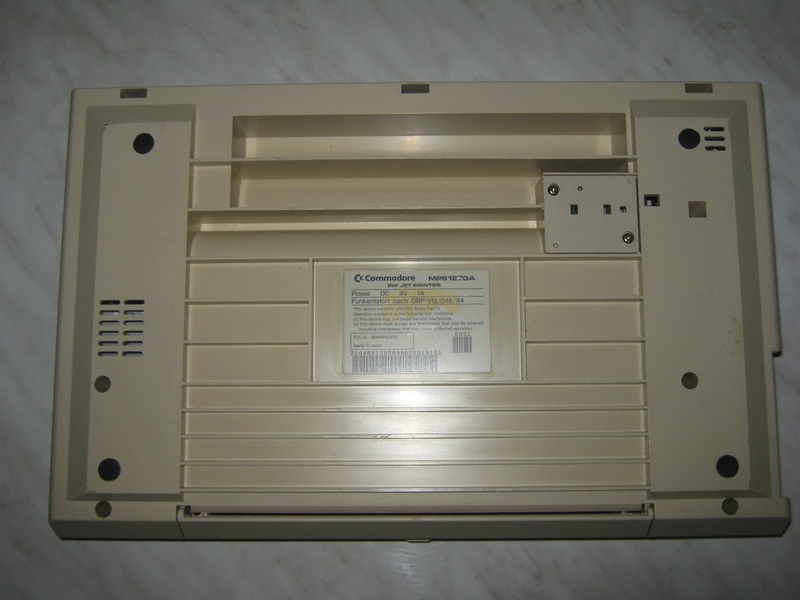 Paper Width: 10″ computer folded paper. 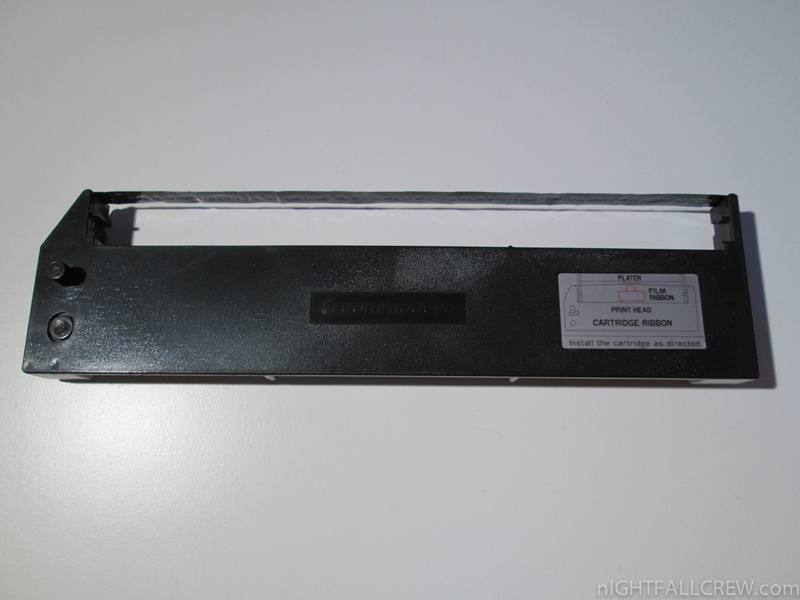 Forms: 7.5 + (0.5 x 2 sprocket margins) Pin-to-pin distance .5″ longitudinally, 9.5″ laterally, 5/32″ diameter. 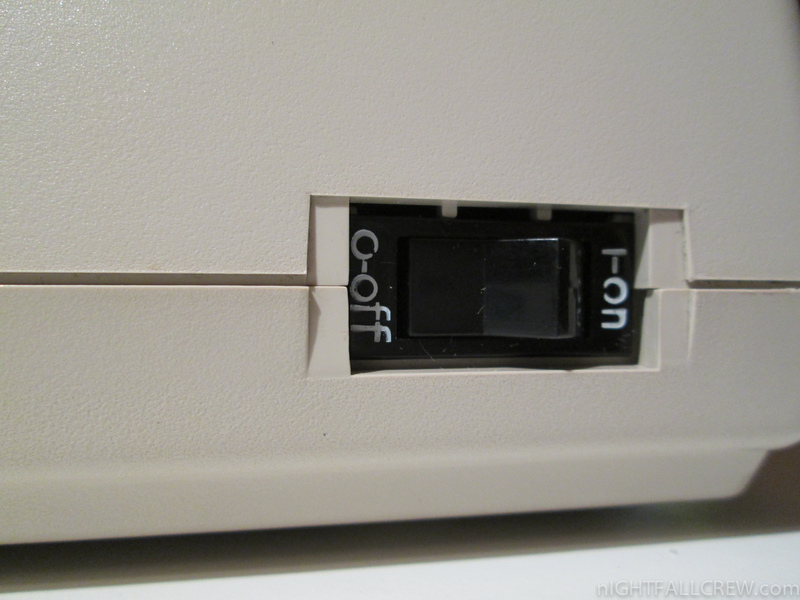 This printer was surely an inexpensive ploy on consumers. 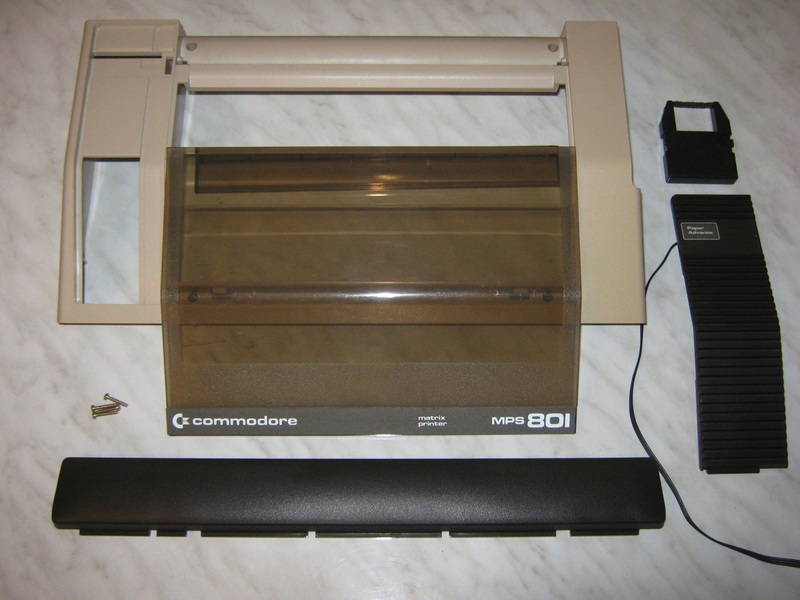 Out of the box, you got a slow dot-matrix printer that did not have true decenders, and did not have the standard tractor-feed mechanism for using the printer paper of its day. 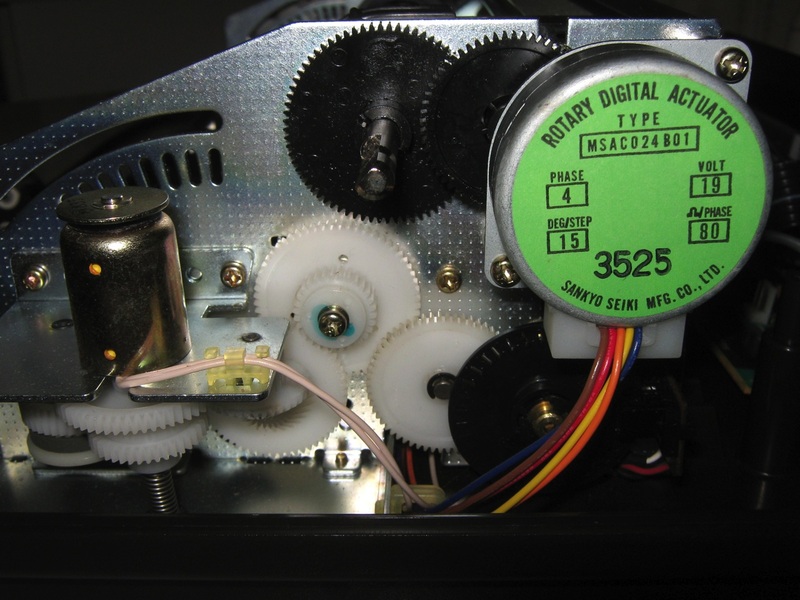 For an additional price, you could get: a ROM with true-decenders and the tractor-feed mechanism. 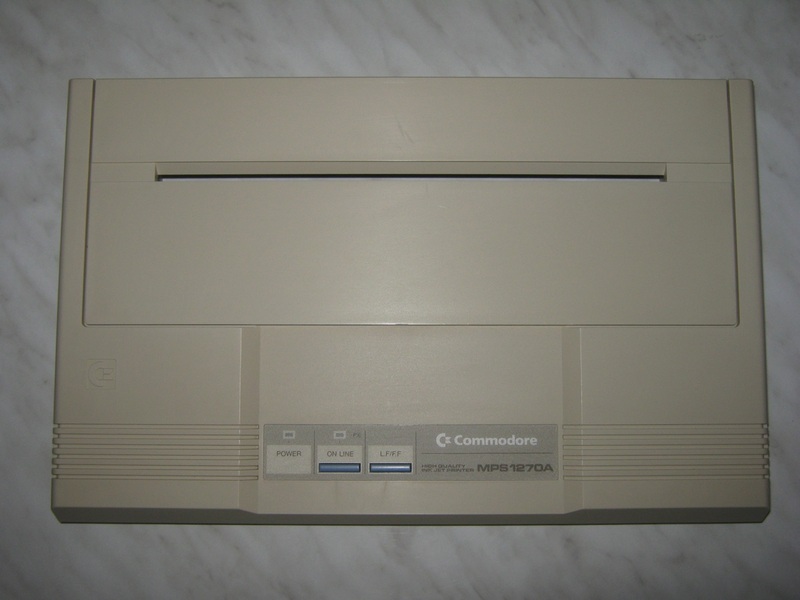 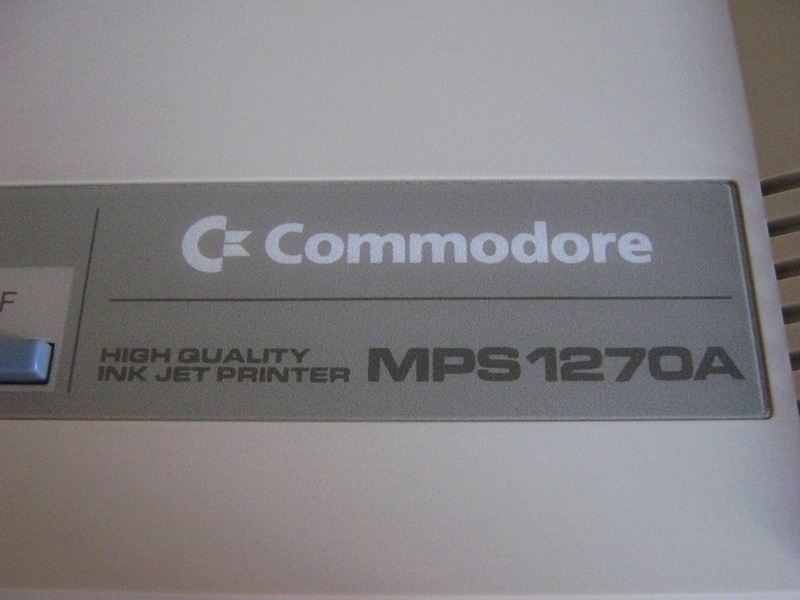 The MPS 1270 was the first ink jet printer Commodore released, as part of its MPS series. 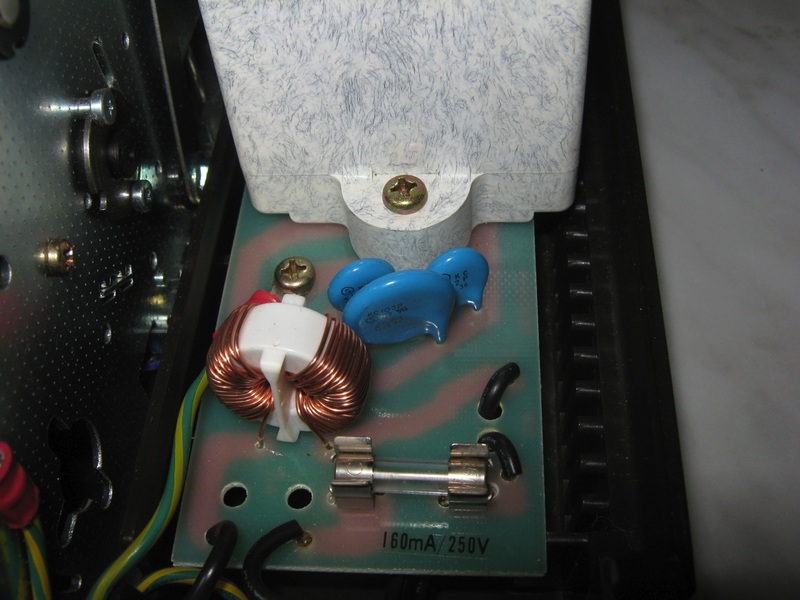 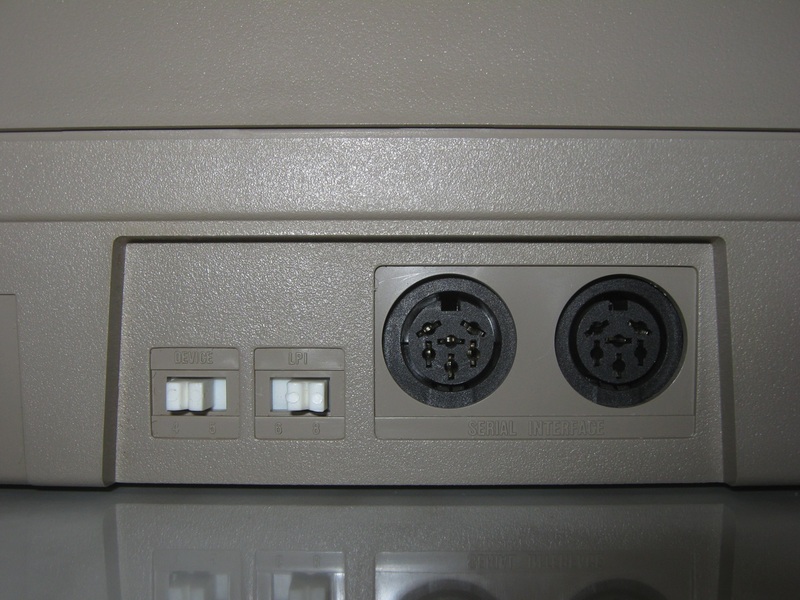 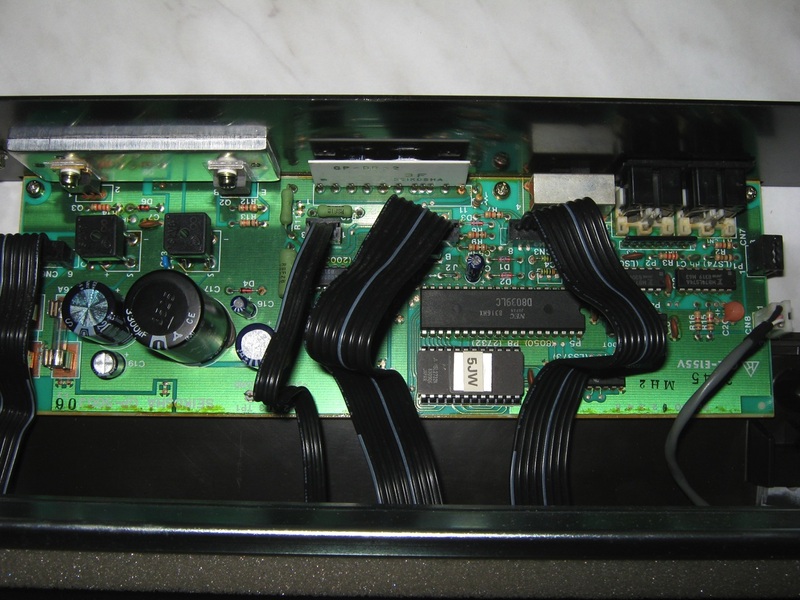 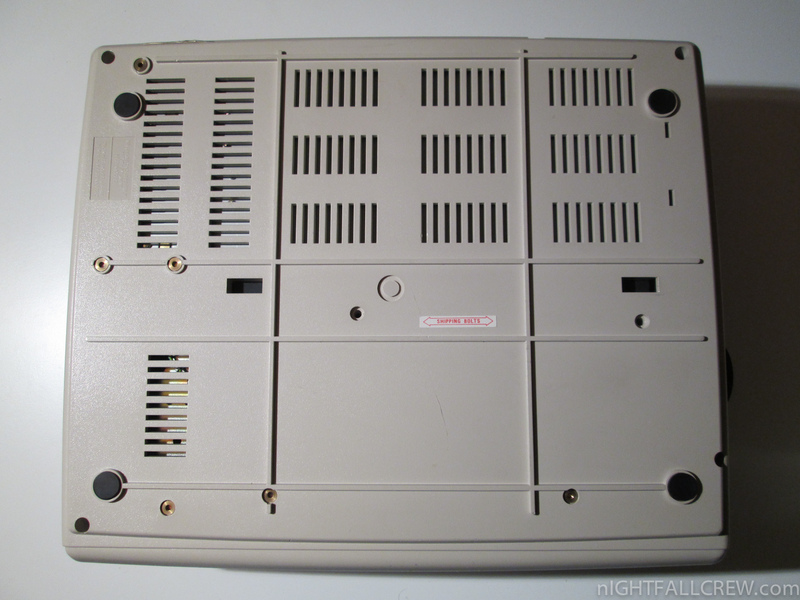 The MPS 1270A had both a Centronics port and a serial bus port. 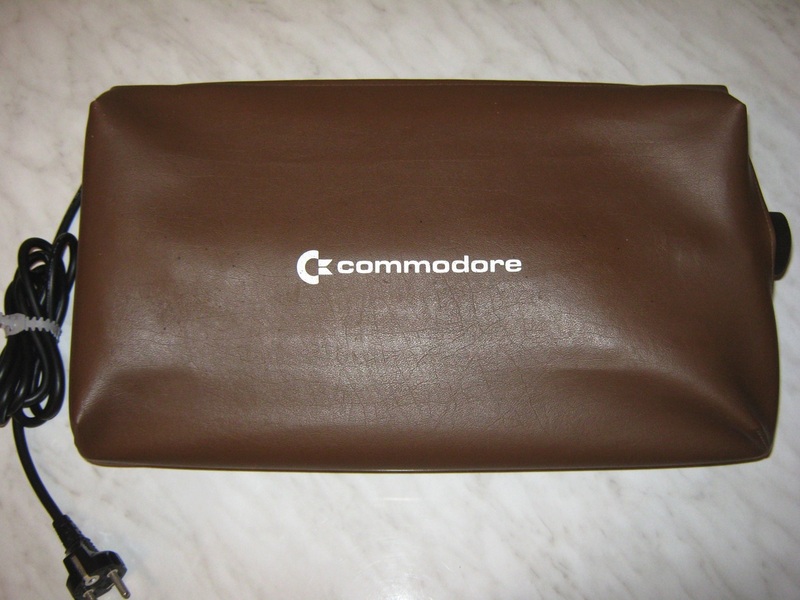 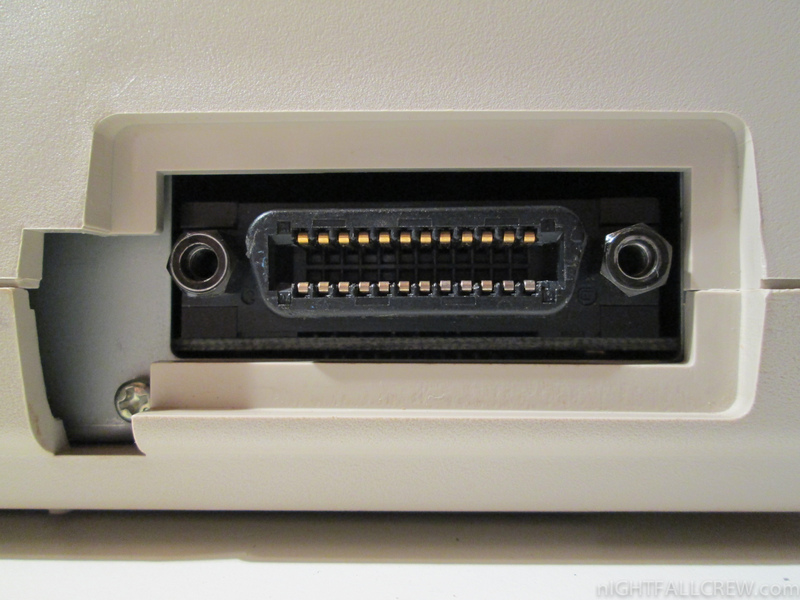 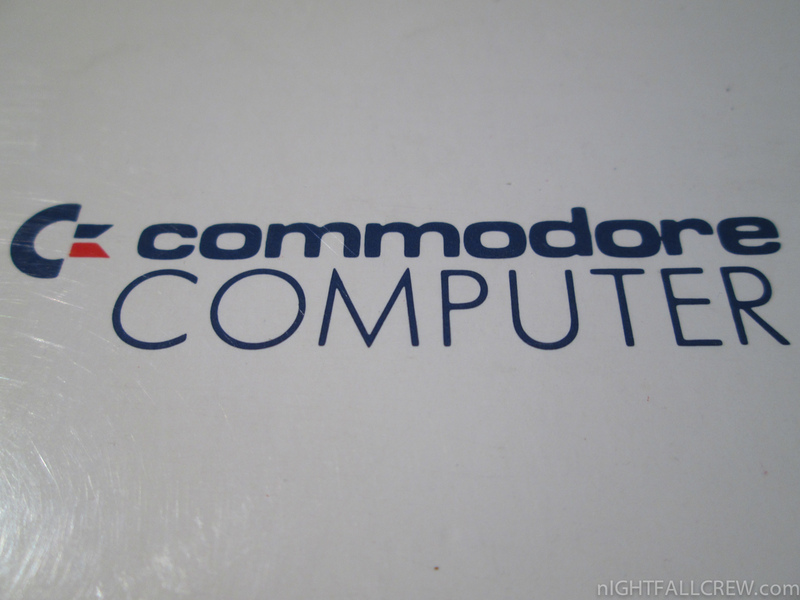 This allowed it to be used by a Commodore computer ( C64 , C128 , etc.) 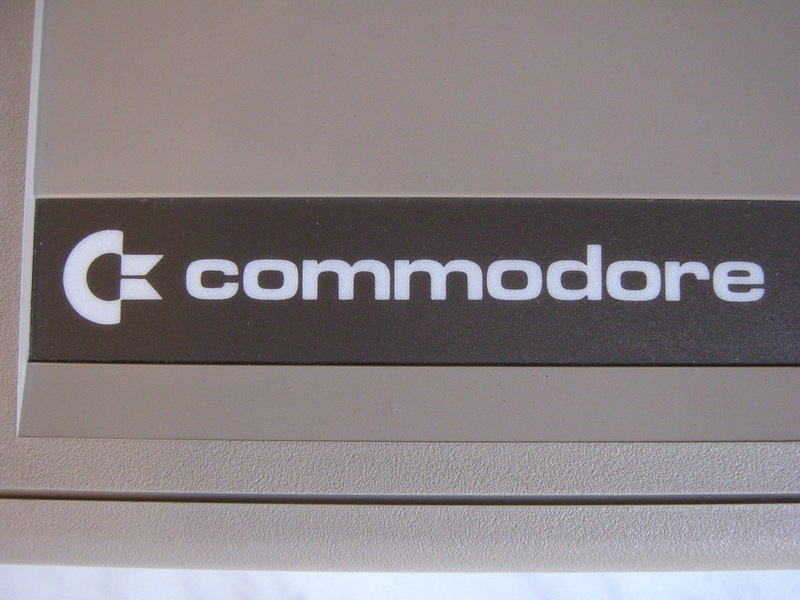 as well as a PC or Amiga. 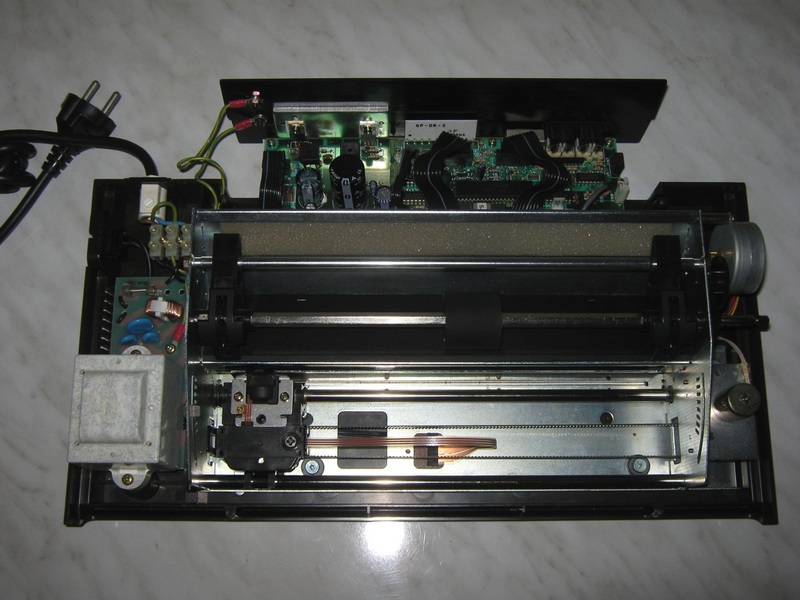 HP 51604A Ink Cartridge are compatible with this printer. 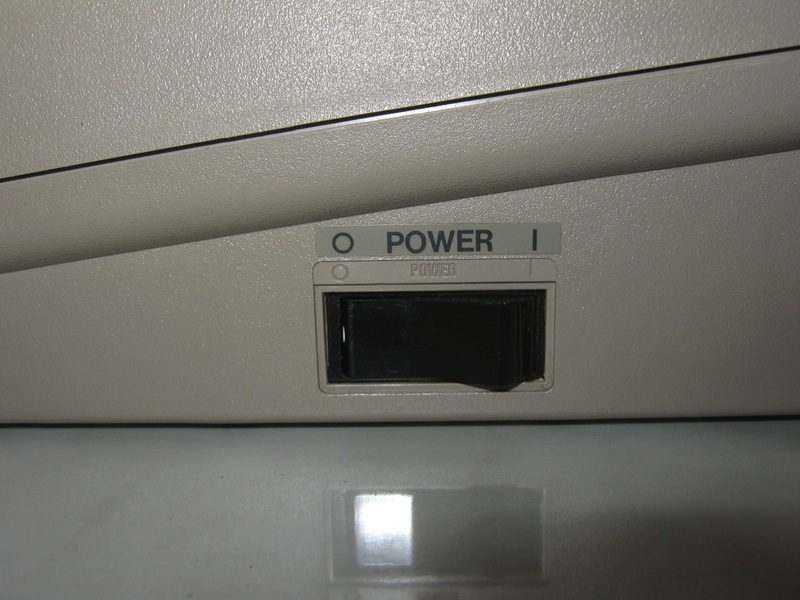 Note: This is my first printer. 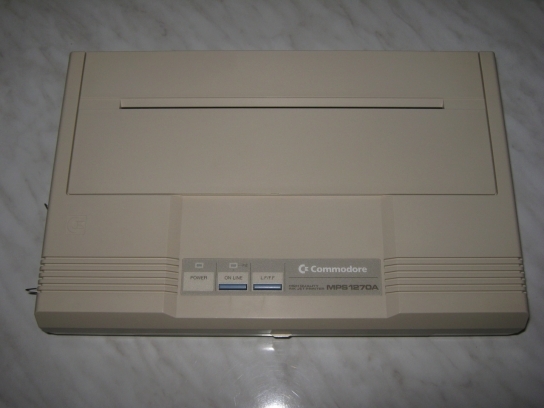 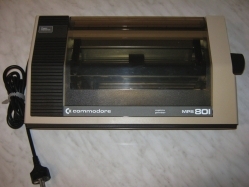 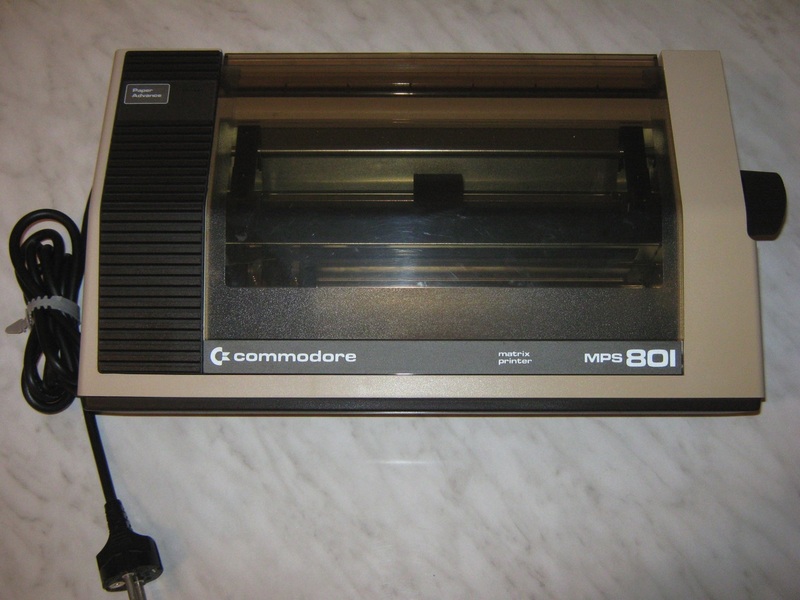 The Commodore MPS 801 was a Matrix-Printer (Stylus-Printer) from Commodore released in the year 1984. 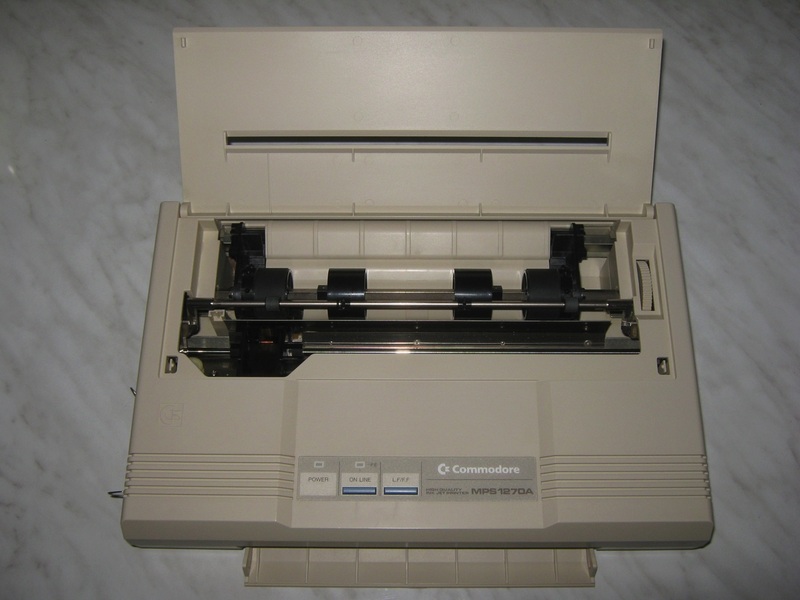 MPS stands for Matrix Printer System, an invention from Commodore. The Commodore MPS-801 was one of the first Printers offered by Commodore for its home computers. 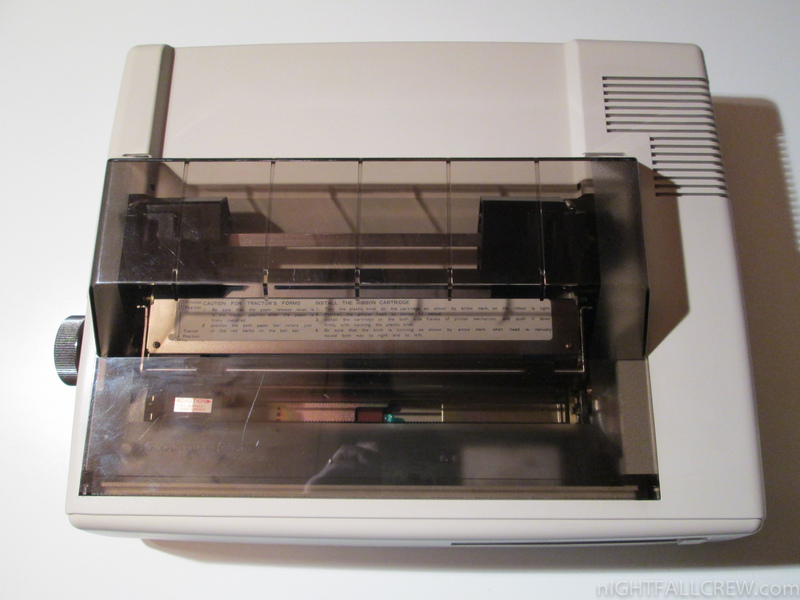 The printer used fan-fold paper via a paper tractor. 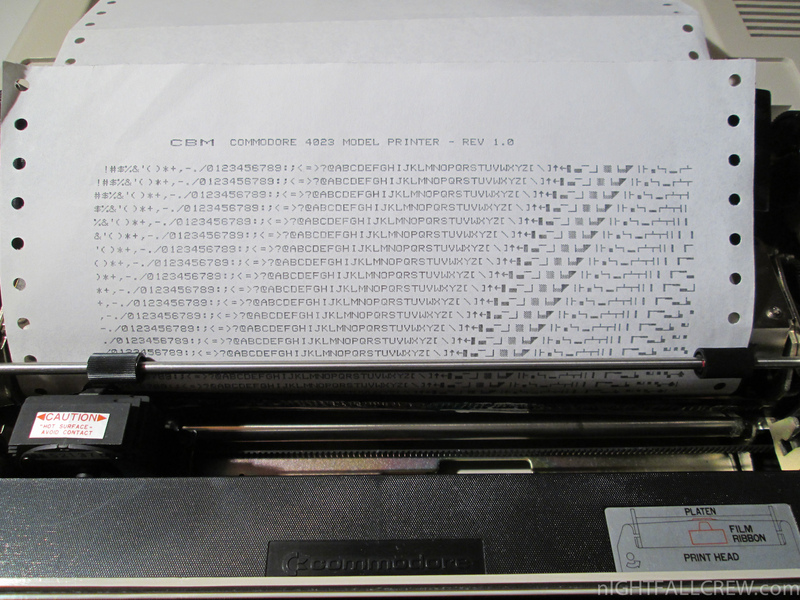 The print resolution was a 6×7 Matrix at 10 chars/inch. 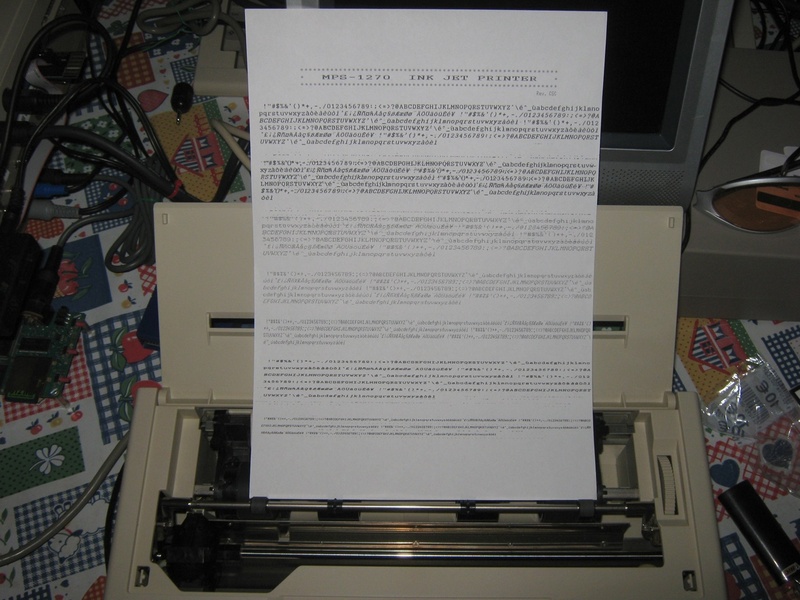 The printing speed was about 50 chars per second. 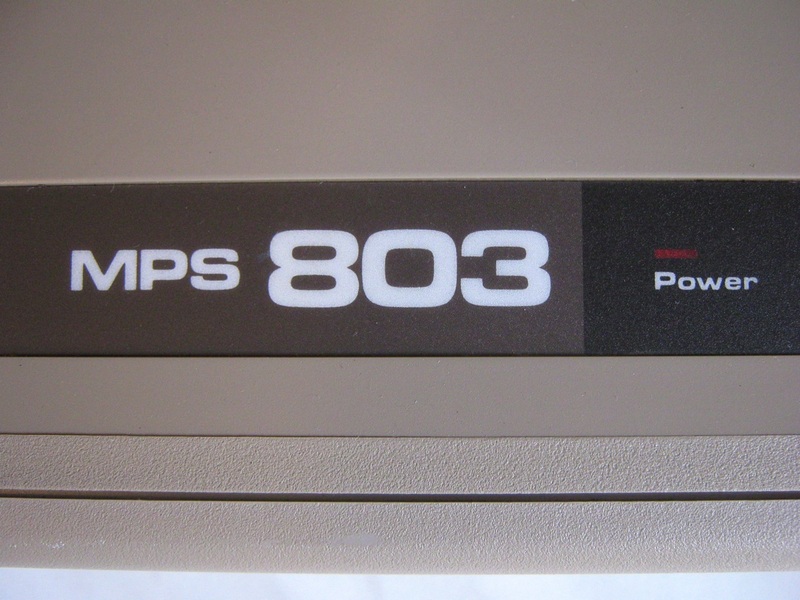 Because of its 7-pin print head, character descenders couldn’t be created with the MPS 801. 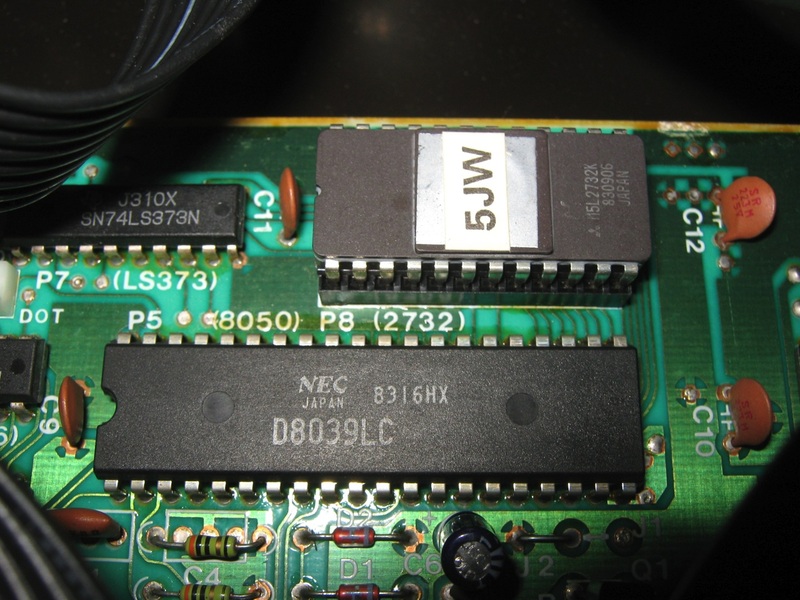 This was later made possible through some software tricks. 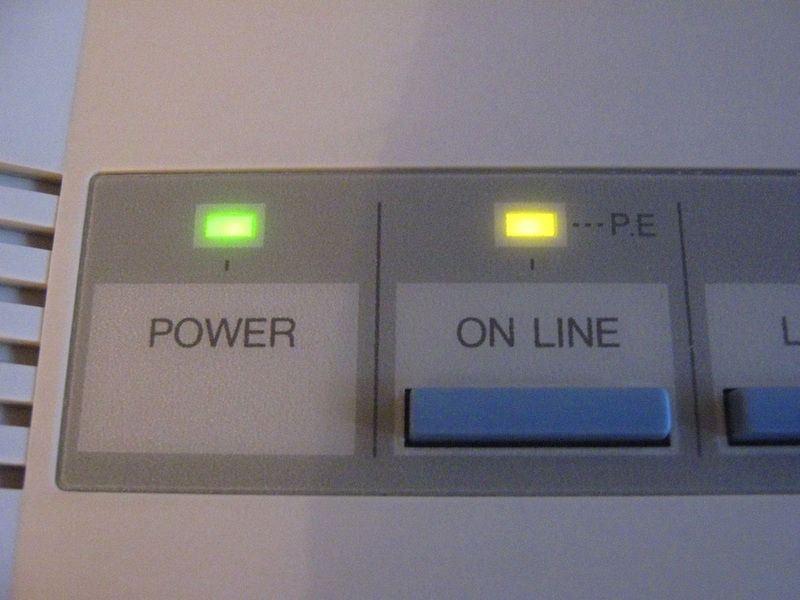 The printer only supports unidirectional printing (i.e. 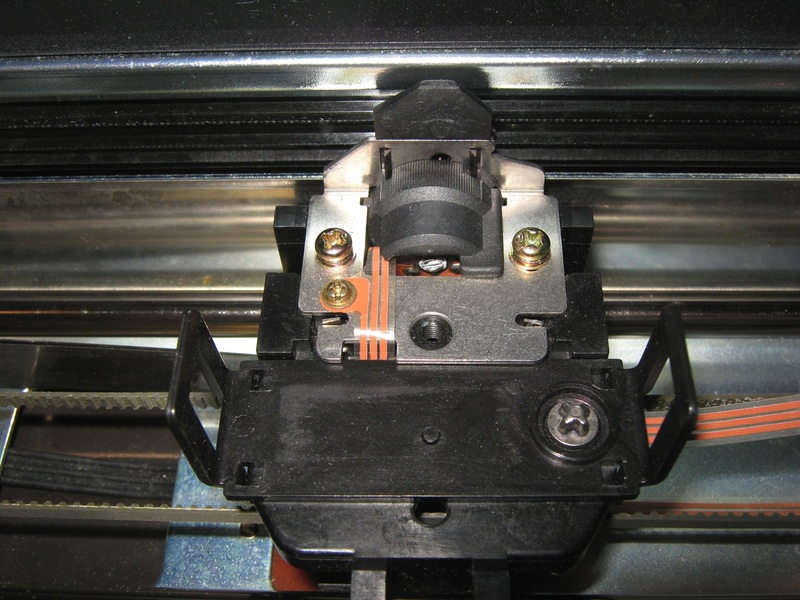 it is only printing when the print head moves from left to right). 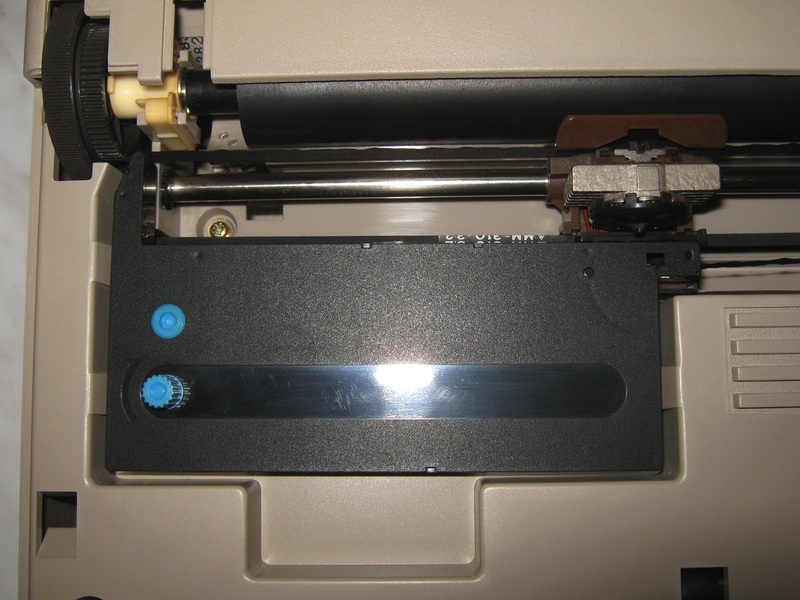 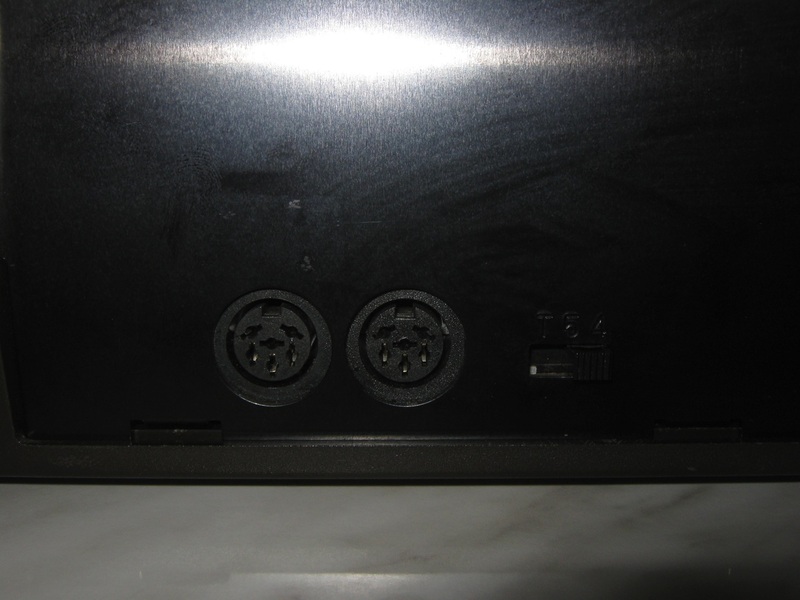 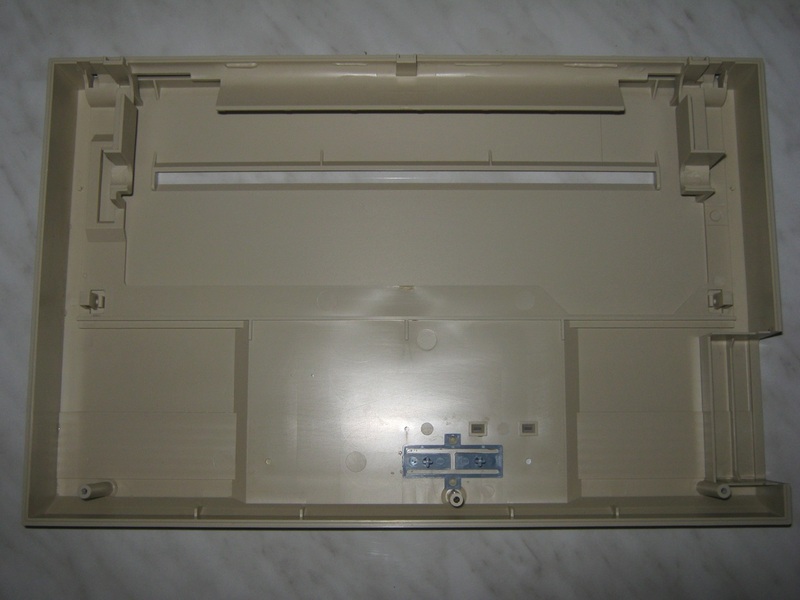 On the way back to the left, the print head was inactive, which made the printer very slow, compared to later models. 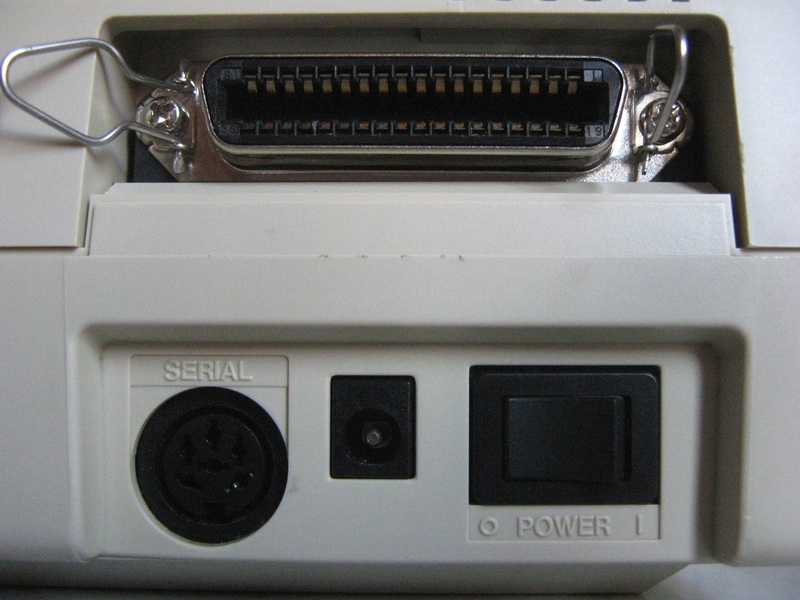 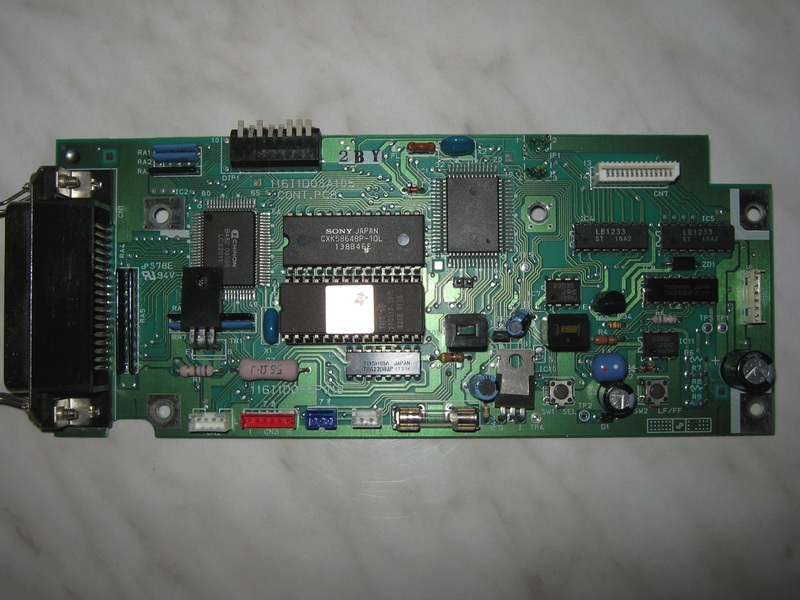 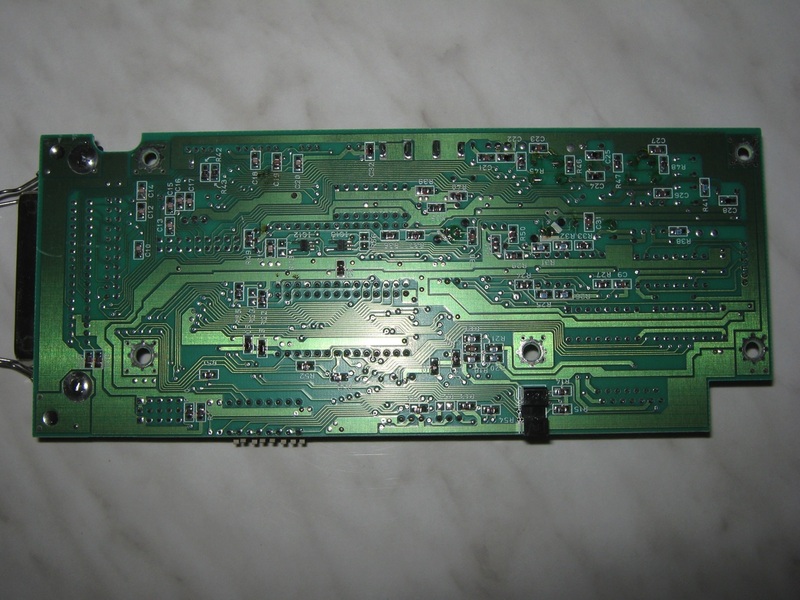 The interface to the computer was a serial IEEE-488, the serial bus for the C64. 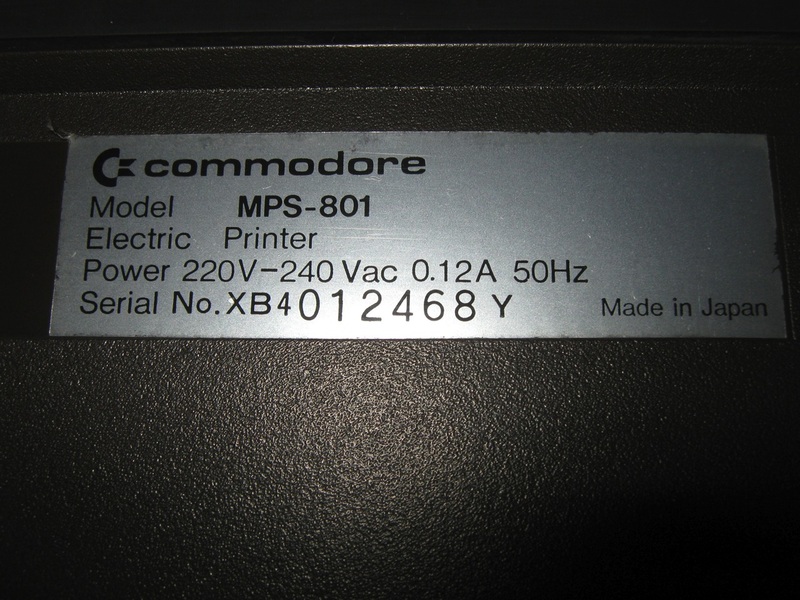 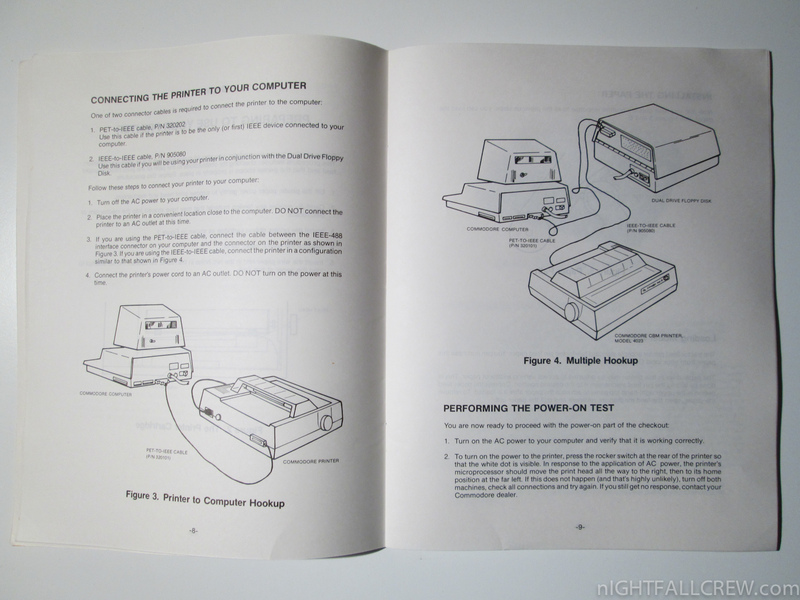 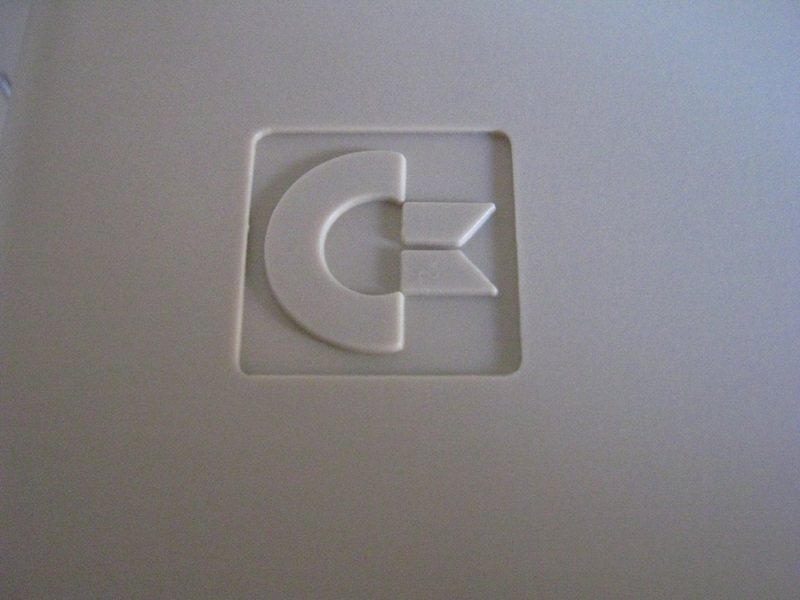 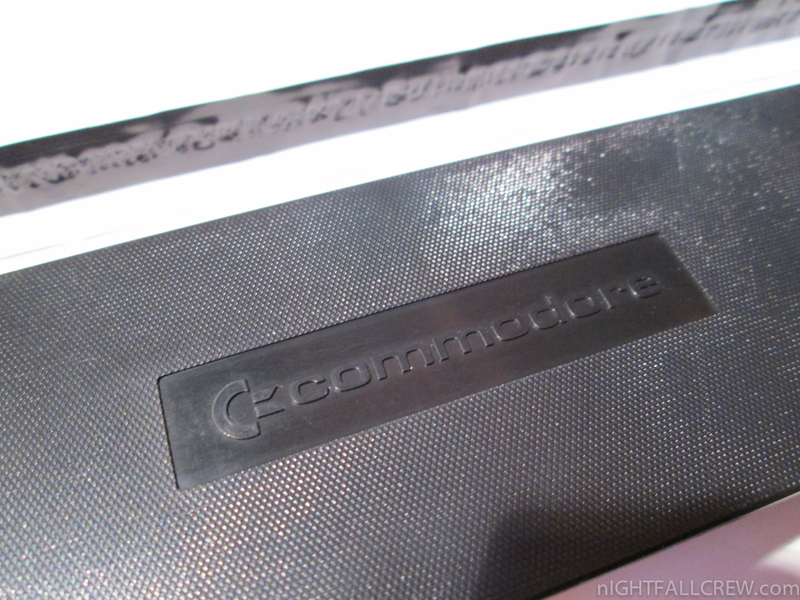 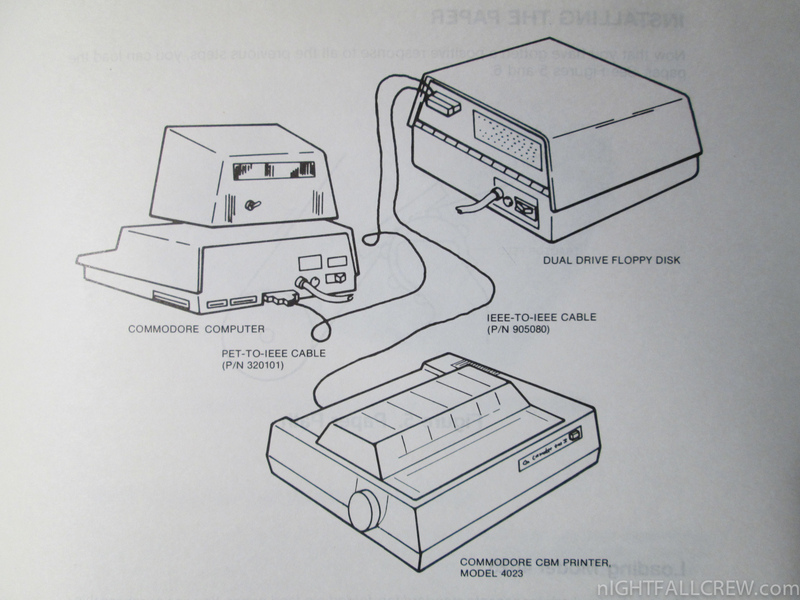 The printer was not developed and produced by Commodore. 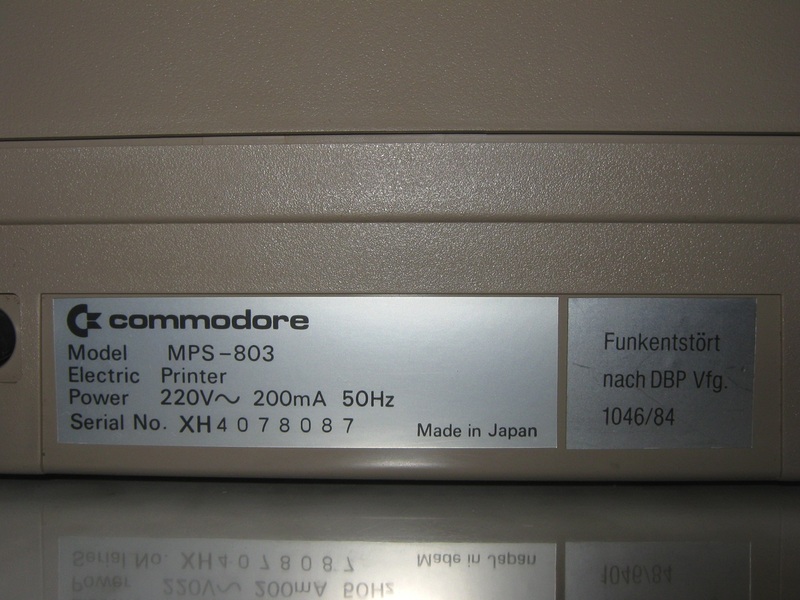 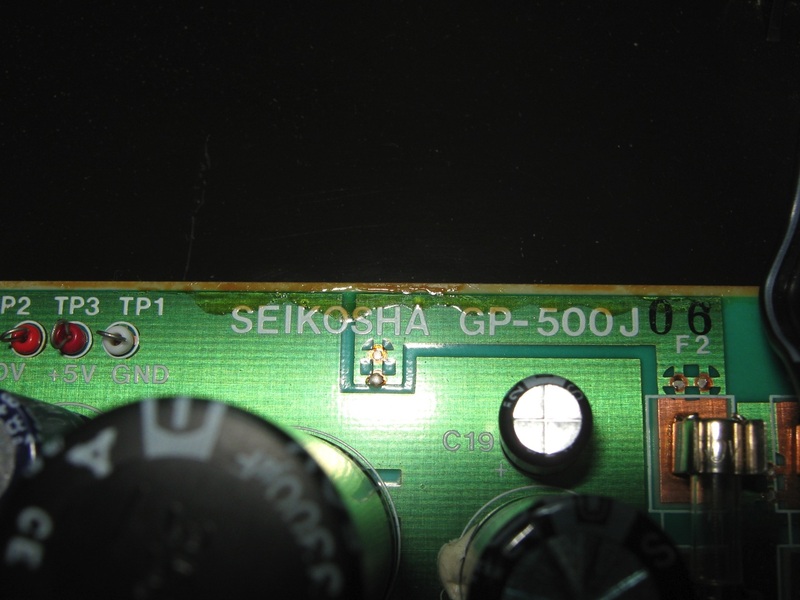 The MPS-801 was produced by the Japanese company Seikosha, a subsidiary of the clock manufacturer Seiko (the same model there was named Seikosha GP 500 VC). 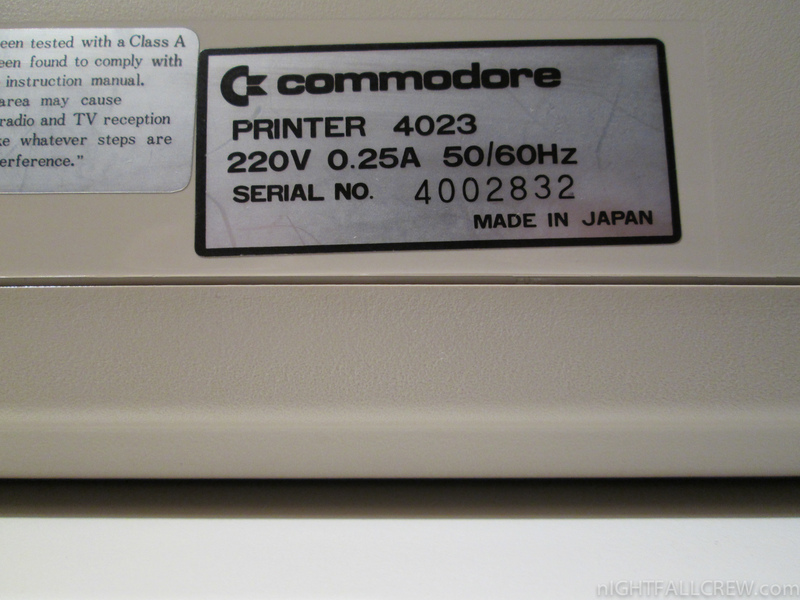 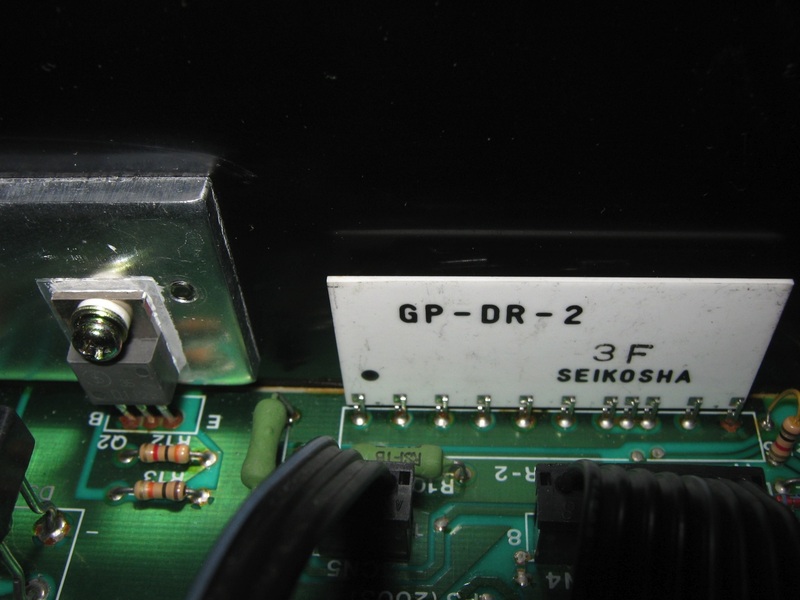 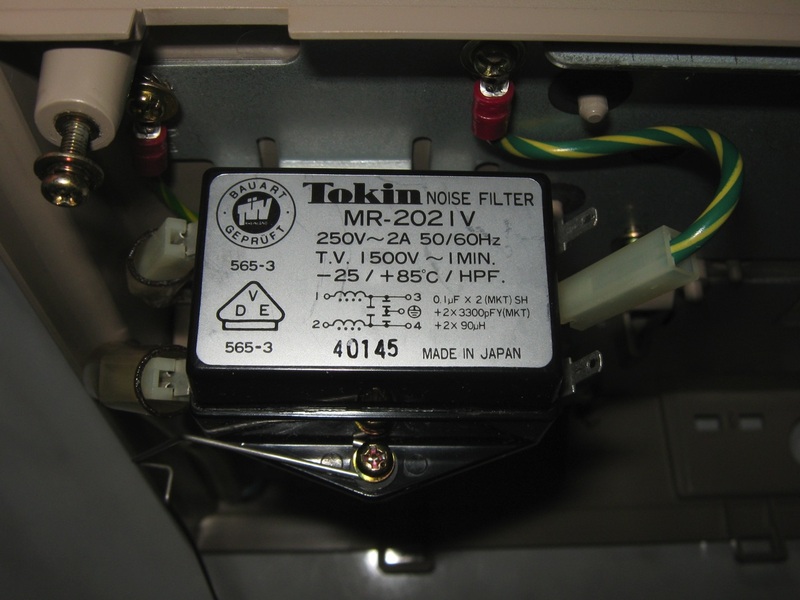 At that time, Seikosha was one of the largest printer manufacturers in the world and was also manufacturing printers for Atari, such as the Atari 1029 printer. 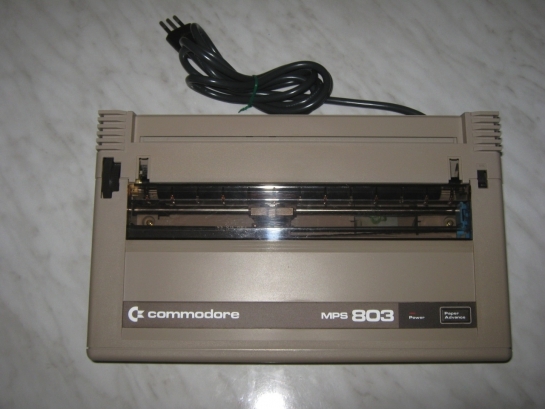 Apart from the complete ASCII-charset the 801 could also print all Commodore graphic characters and reverse characters were possible. 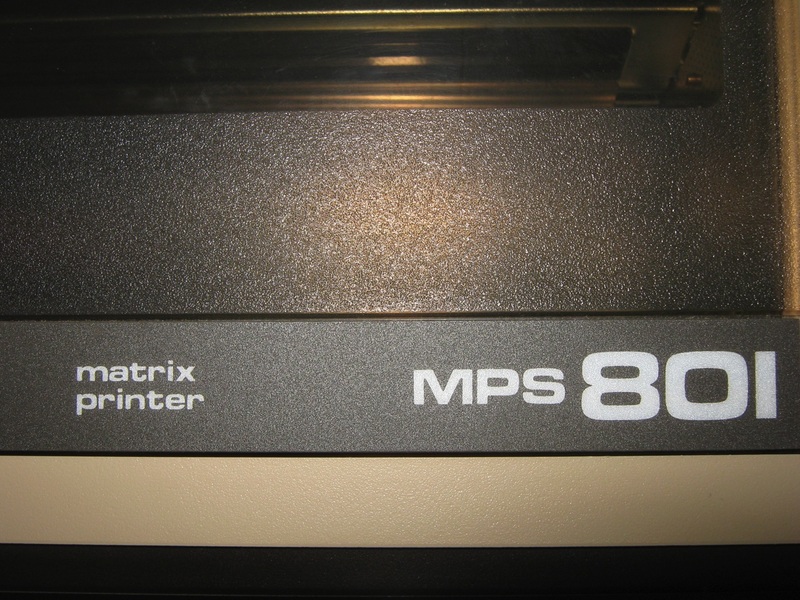 In addition to text and special glyphs the printer was capable of printing graphics. 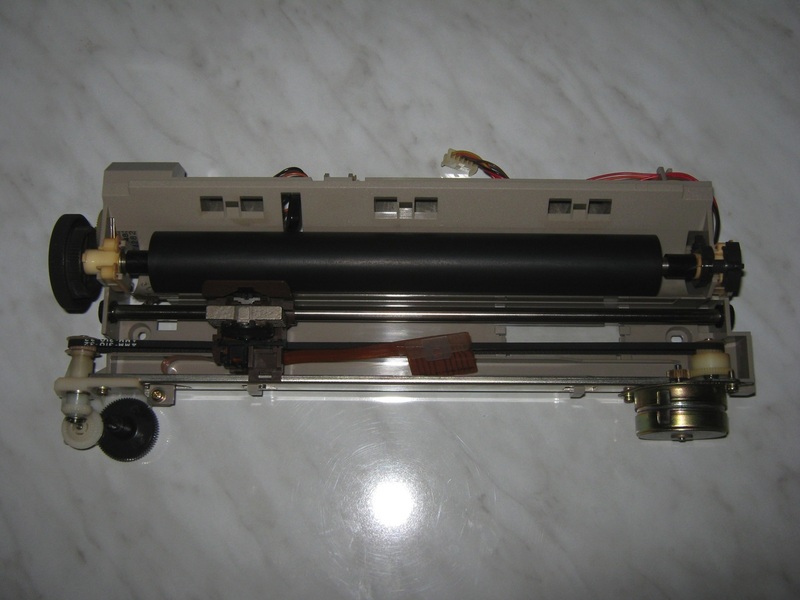 For manual paper-handling there was a mechanical handwheel on the right side of the printer. 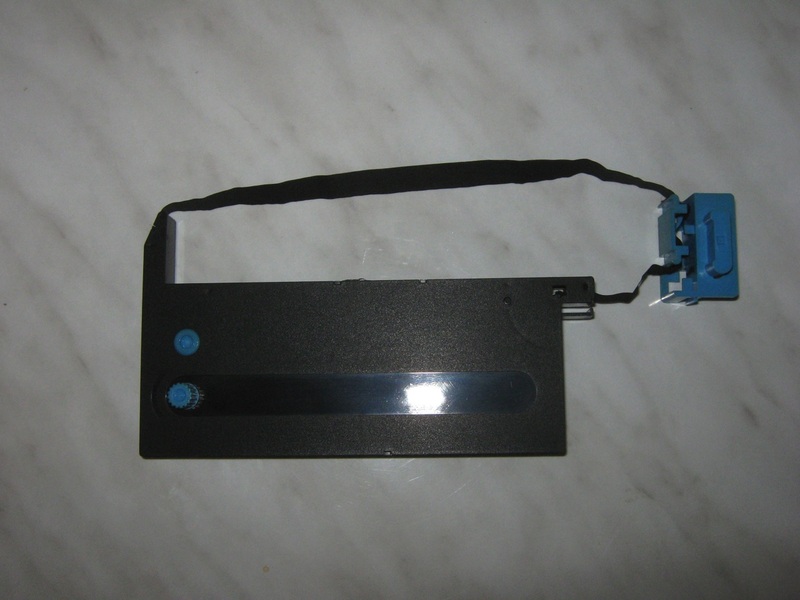 Additionally a membrane key was provided for incremental linefeed.